A hacker who goes by the screen name “Fiofa Fado” attacked the official website of the National Book Development Board (NBDB) around Monday midnight. An attached agency of the Department of Education, the NBDB works closely with the Philippine book publishing industry. It sponsors the annual National Book Awards. The homepage of the NBDB website has been replaced by the picture of someone wearing a Guy Fawkes mask – the most frequently used symbol of hackers worldwide. Other pages in the said website cannot be accessed as of posting time. “Where is your security?” the hacker asks. Compared to other recent instances of hacking of government websites, this particular case is distinct. First, Anonymous Philippines did not claim responsibility for this (for reference, check this post about the hacking of Senator Vicente Sotto III’s website last week). Secondly, “Fiofa Fado” actualy listed his Facebook account as well as his email address (haxk@hotmail.fr) in the homepage. 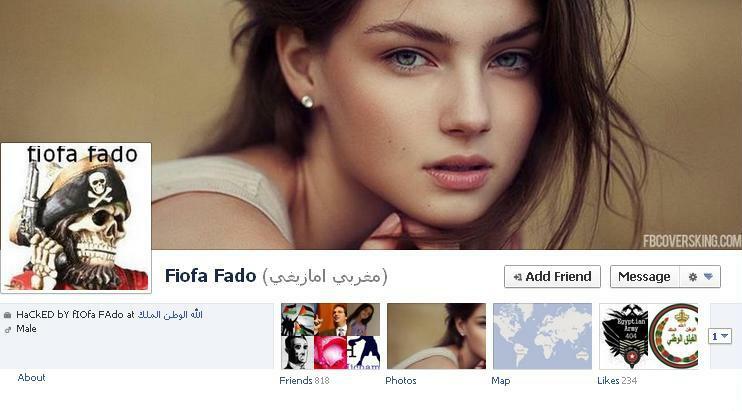 Fioda Fado’s Facebook page is in Arabic. The hacker also did not make any reference to the Republic Act 10175 or the Cybercrime Prevention Act of 2012. The Supreme Court is scheduled to hold oral arguments regarding the law’s constitutionality on January 15. This entry was posted on Monday, January 14th, 2013 at 2:40 am	and tagged with anonymous philippines, anonymous philippines hackers, Cybercrime Prevention Act of 2012, fiofa fado, hacked by fiofa fado, hacking in the philippines, National Book Development Board, nbdb website hacked and posted in hodgepodge, philippines, social networking sites. You can follow any responses to this entry through the RSS 2.0 feed. One interesting thing i found.